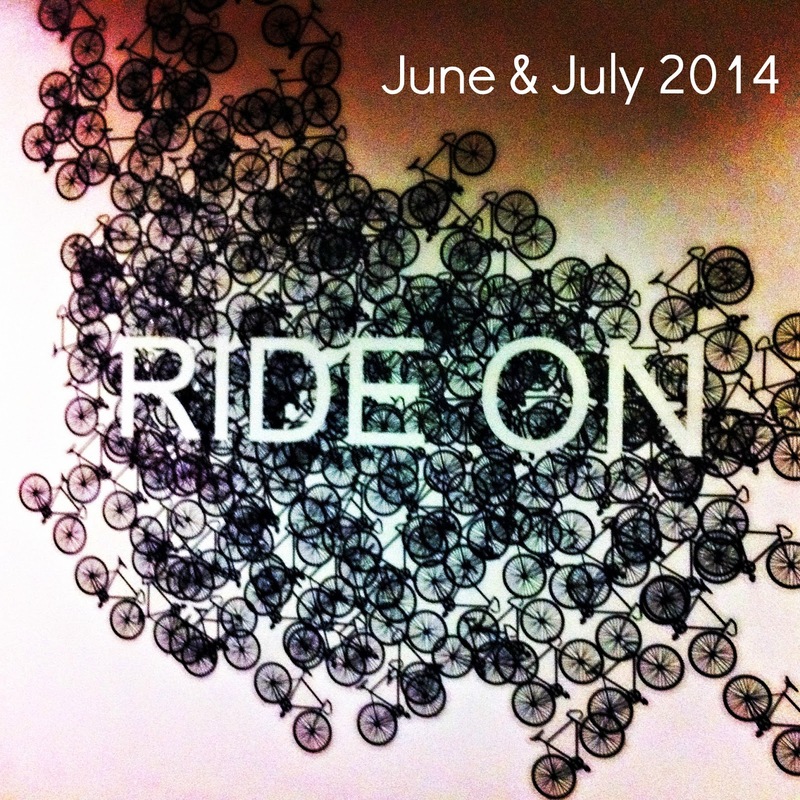 Ordinary Goodness: Celebrating (finally) June and July. Celebrating (finally) June and July. Reporting (and rambling) on June and July a week after August starts... Yeah, that seems about right these days. A few of my good friends from the year ahead of me came up for their five-year college reunion. It was a gorgeous weekend and I loved hanging out on campus with them. Can't wait for ours next year! The marvelous May wedding I attended had a fun Part II when the newlyweds and their parents had a gathering downtown for family friends. My favorite coworkers took me out to eat during my last week of work, which was bittersweet, delicious and lovely. Sean's summer baseball games have been great, and one of the high school fields where he plays is near enough to the airport that planes come lower and lower through the sunset about every other minute. I said goodbye to my wonderful job of 3 years. My coworkers had a goodbye party for me and I bawled my eyes out and it was really hard. But all I felt (besides exhaustion) when I cleaned out my office and took all of my pictures and papers down to my car for the last time was gratitude. We found this delicious bakery in the last couple of weeks before I moved and it's been there all along - I want to say that's a good thing because it meant I didn't eat as many cupcakes, but really, I wish we had stumbled upon it three years ago. I went to my second MFA residency up at Goddard College. It was infinitely better than the one in January, first and foremost because... well, it wasn't polar vortexing all over the place. But really, it was so nice to not be new and to know people and grow closer to these special friends and talk about books and writing and actually do some writing. I went for a week and it was a wonderful time to wind down and process within transition. Plus, Vermont summer is heavenly. While I was there I read two books that I really enjoyed: The Silkworm, which is the second mystery novel in Robert Galbraith's (a.k.a. my favorite storyteller Jo Rowling) Cormoran Strike series; and Where'd You Go, Bernadette? by Maria Semple, which was witty and fun. It was also set in Seattle, which we visited last summer, so it was fun to be put back in that setting again. Now I'm back to MFA reading, but so far that's been really enriching too (see July). Through the month I had to say so many goodbyes to the Queen City, which I've come to love so much. My gym, my doctors, my gas station, my grocery store, my favorite restaurants - not to mention dear friends. It all felt so surreal that I didn't really believe it until I moved out. And that's where July began, with moving out. Sean, my parents and I were helped immensely by two great friends who got pretty much everything packed into a truck in less than 24 hours. The night before I moved, we went out to dinner at one of our favorite restaurants and saw family and friends there. Locking my wonderful little duplex for the last time was so... odd. It was the perfect place for me/us to spend these last 3 years. And saying goodbye to my fiance, albeit temporarily, was crappy. What can you say about experiences like this? I'm celebrating it in a sense, but it was/is also hard. My first week back home I read The Hare With Amber Eyes by Edmund De Waal for school. It's a really fascinating read, and De Waal as a narrator was fun and authentic. Definitely recommend! Mom took me out to dinner at one of our favorite Atlanta spots, The General Muir, the night before my first day of work. Their breakfasts are also delicious, but this was the first time I'd been for dinner and it was a win. It also helped me calm down in the midst of new-job nerves. Another great thing about moving home is how many friends I've gotten to connect and reconnect with. It's been wonderful to have meals with folks and catch up, and make new friends too. Being back at church makes me so glad. And it's been really special to be able to see my parents and brother on a regular basis. You wouldn't think this would be something to celebrate, but I feel that it is. In our church community, we had two untimely deaths this summer. I was able to attend both memorial services and they were each lovely, moving and truth-filled in their own ways. The loved ones who spoke and sang took my breath away, and mingled grief with hope. I was humbled to be at both of them. Sean came into town and we got to spend time with his parents, another reason that I'm excited to be back in the area (no, I'm not sucking up to future in-laws - they really are that great!). We ate a delicious breakfast on the porch while it rained, his mom and I went shopping and later all of us went to the Braves game and got to hear our favorite Timothy Miller sing "God Bless America." Ah, wedding stuff. One of my favorite things so far has been our invitations, which were calligraphied by one dear friend and illustrated by another dear friend. They came out just as I'd envisioned them and it was so fun to put them together. Now it's time for the little details that I've heard so much about, that I'll probably forget, but if I forget then maybe they weren't that important in the first place... Right? Whatever I forget, it's going to happen, and I can't wait. Random technology fun: I'm working on a blog revamp that I'm planning to debut after the wedding (yes, mainly because it has my new name). It's been a lot of fun playing around with the design! And I finally got Instagram - yes, okay, I love it. Also, my dear friend Liz got herself a blog that's been a long time coming, and I love her and how it embodies her writing and her spirit. What a thing to end on with all of this change, but goodness, the FRUIT has been so delicious this summer. Watermelon, strawberries, blueberries, cherries, mango, cantaloupe... I forget how much I love summer fruit until it arrives again. Like yor blog! Now also following on teitter.